That's how I look like 14 years ago. 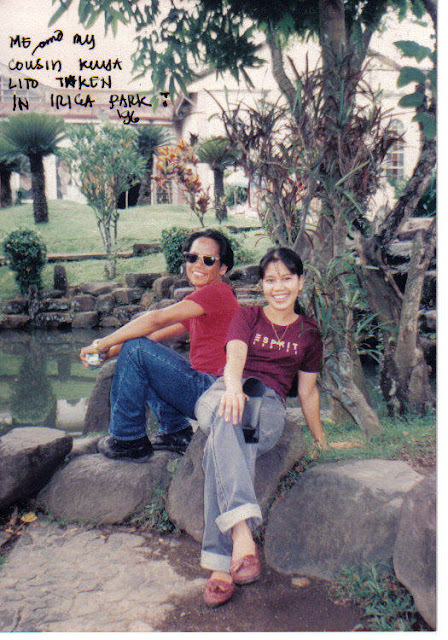 A photo taken in Iriga City (Camarines Sur, Philippines) with my cousin Kuya Lito. sis, ikaw ba yan? you're so pretty, lovely and sweet here! nope, i don't mean you're not any of those now, but your sweetier, lovelier and prettier today!! This is a great photo of you both! I love the scenery! It makes the photo more fun! That is a really cute photo! It looks so pretty there! I had to laugh at your "experts". Well as an expert, I think your photo is so cute. You looked great. What a fabulous idea for a blog, your children are beautiful! I'm found you from FF. Stop by my site for a visit, it's always nice to meet new friends. What a fun picture. I haven't ever been to the Phillipenes. Maybe someday. Thanks for stopping by from Friday Follow! Thanks for following me. I'm following you too! Yes, I agree, you are so cute and lovely in here... until now pa rin, thanks for dropping by sis, blessings! I'm following from Friday Follow! Please come follow me! 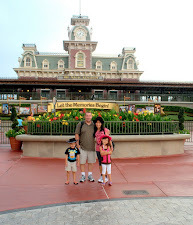 :) Thanks for commenting on my Friday Photo Flashback! Hi thanks for stopping by my blog and following. I am now following you back. Cant wait to read more posts. You look great and slimmer 14 years ago on an old photo. You look like you were enjoying your life then as much as you do now. Thanks for the post. God bless you all always. Neneng nene ka pa dito Mare & still beautiful!Thanks for sharing your old photos :D.